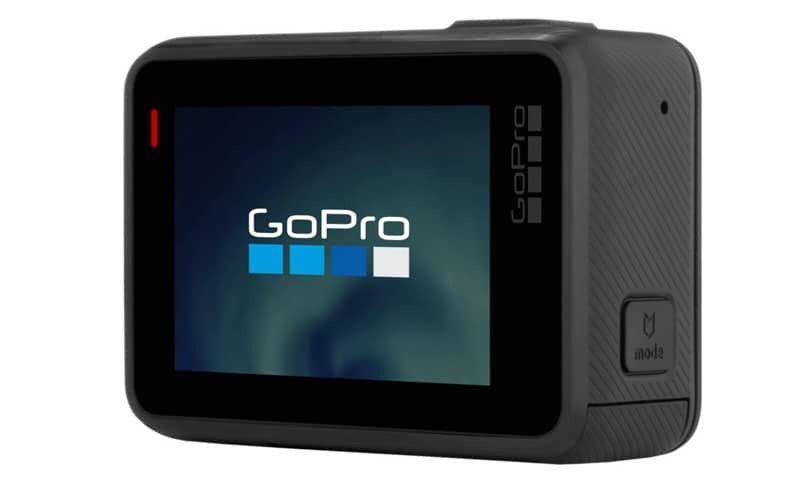 GoPro Brand name is known for action cameras worldwide and today GoPro officially launched their HERO waterproof Action Camera in India. The camera is available on Flipkart for Rs 18,990. However, in the US the device retails for US$ 199.9 (Rs 13,500). Thanks to Import duty and other taxes we have to pay 5K more for this. The retail package includes a Camera, Frame, Rechargeable Battery, Mounting Buckle, Curved & Flat Adhesive Mount and a USB-C Cable. The camera has a 10MP 1/2.3 inch sensor, with an ability to record native 1080p video footages up to 60fps. Additionally, the device is optically stabilized to offer shake-free footages. The device is water resistant up to 10 meters and can be used to shoot underwater footages. The device has a built-in 4GB storage. However, it is user expandable up to 128GB using a micro SD card. The HERO Action Camera comes with a tiny 2-inch colored touch-enabled display with 320 x 480-pixel screen resolution. Additionally, the device has a tiny monochrome display on the front, which displays information like video quality, storage remaining and battery. The camera is controllable wirelessly using an Android or iOS device. Additionally, it has all the connectivity features like Bluetooth and Wi-Fi, which makes sharing videos and images a lot easier. Similarly, the camera also supports hands-free voice control. 1. Waterproof – It is waterproof up to 10 m (33 ft), so you can carry it around with you for those adventurous activities, such as snorkeling and swimming. 2. Built to Last – Its rugged build makes it durable, so it can handle virtually anything you throw at it. 3. Wide View – Thanks to HERO’s wide angle lens, you can fit everyone in the shot without the need to squeeze in. 4. Voice Control – Thanks to the hands-free control, you can issue simple voice commands to your GoPro. 5. Stabilisation – Whether you are using the GoPro mount or shooting by hand, you can be assured your videos will come out clear and stabilized. 6. Touchscreen – Use its 5.08 cm (2) touchscreen to switch between different modes, frame the perfect shot and browse through your footage. 7. Wi-Fi and Bluetooth Connectivity – You connect to the GoPro app, and control the camera remotely, view the captured shots and share your favorites.